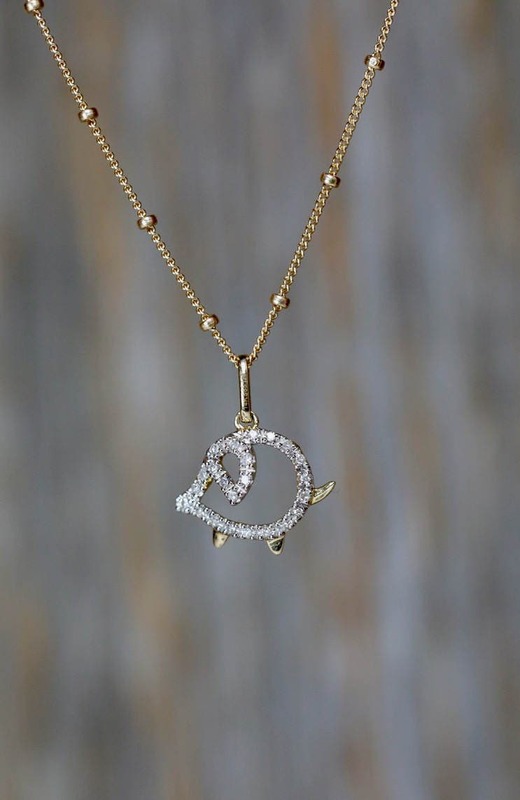 this is a charitable donation genuine diamond pig charm necklace! You have a choice at checkout of either solid 14 karat gold and white diamonds or oxidized sterling silver with champagne diamonds. 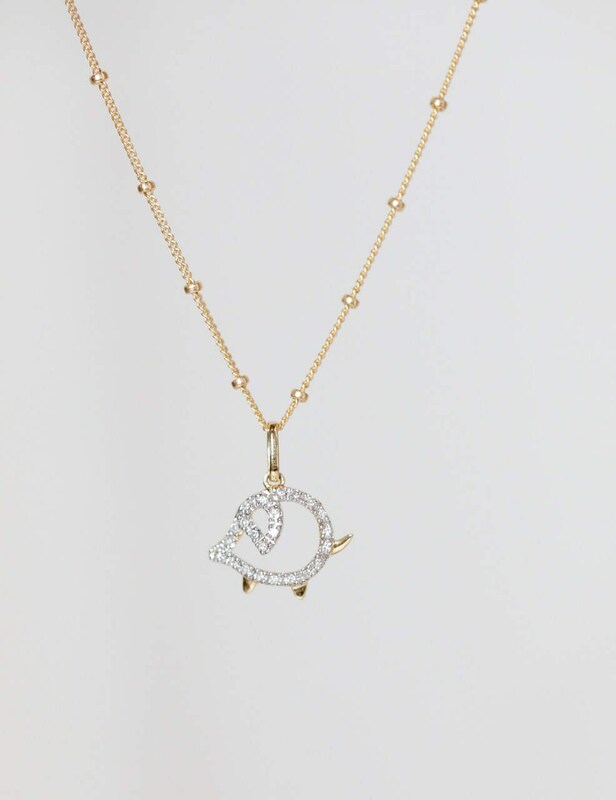 This is a white brilliant cut diamond and solid 14 karat gold pig charm necklace! A portion of the proceeds from your purchase will go to Arizona's amazing IRONWOOD PIG SANCTUARY! 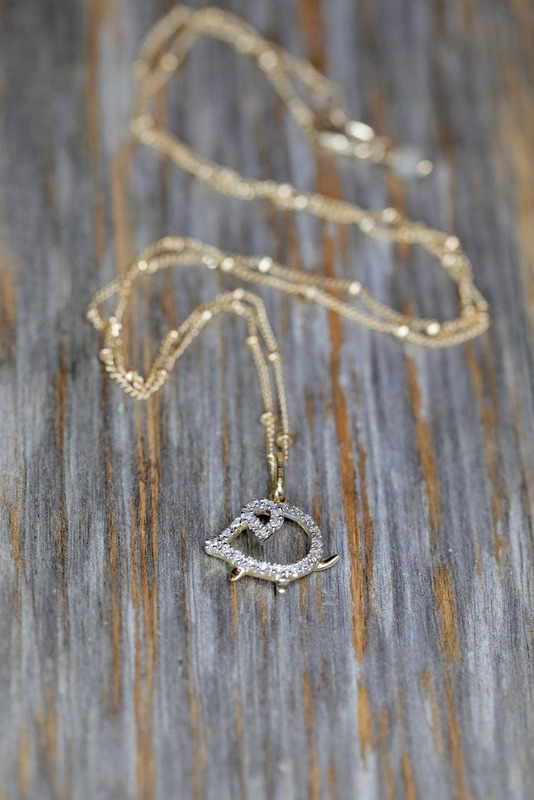 The chain is also solid 14 karats yellow gold. White gold and rose gold versions available with several different chain metals also available at checkout. Nadean Design's loves pot belly pigs ! I myself volunteered for years at Ironwood Pig Sanctuary and had a pot bellied pig of my own for 16 years until he passed away. 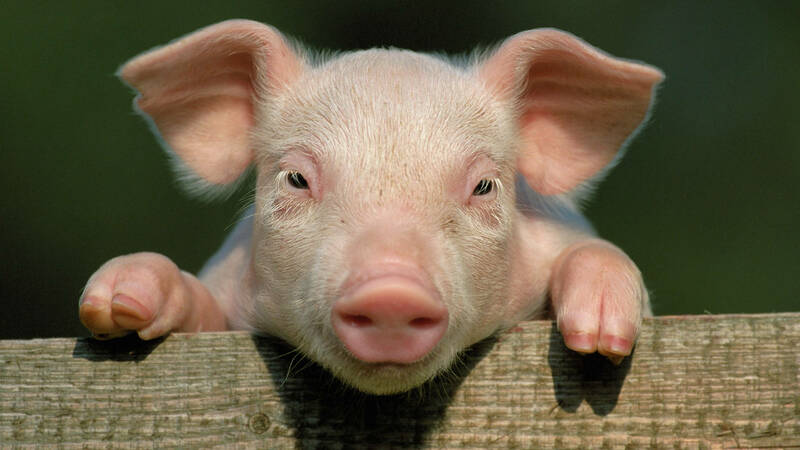 Many pigs are purchased as "teacup" or "micro pigs" being marketed as staying small for a house pet. There is no such thing as a "micro" or "teacup" pot bellied pig. An average adult male potbelly will always weigh about 100 lbs. Many people who purchase them as pets end up abandoning them once they do not stay the size they had hoped. Nevertheless Pigs are amazing animals, smart, affectionate, loyal, protective, and quite clean. We do not recommend them for pets unless you are adopting an adult from a sanctuary. 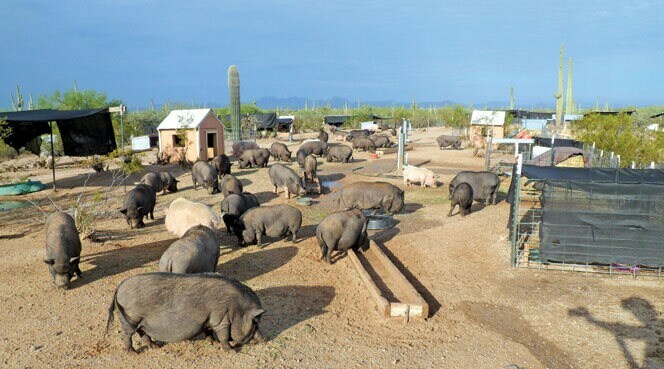 Ironwood Pig Sanctuary will be able to educate you on what pigs need to be happy healthy animals. 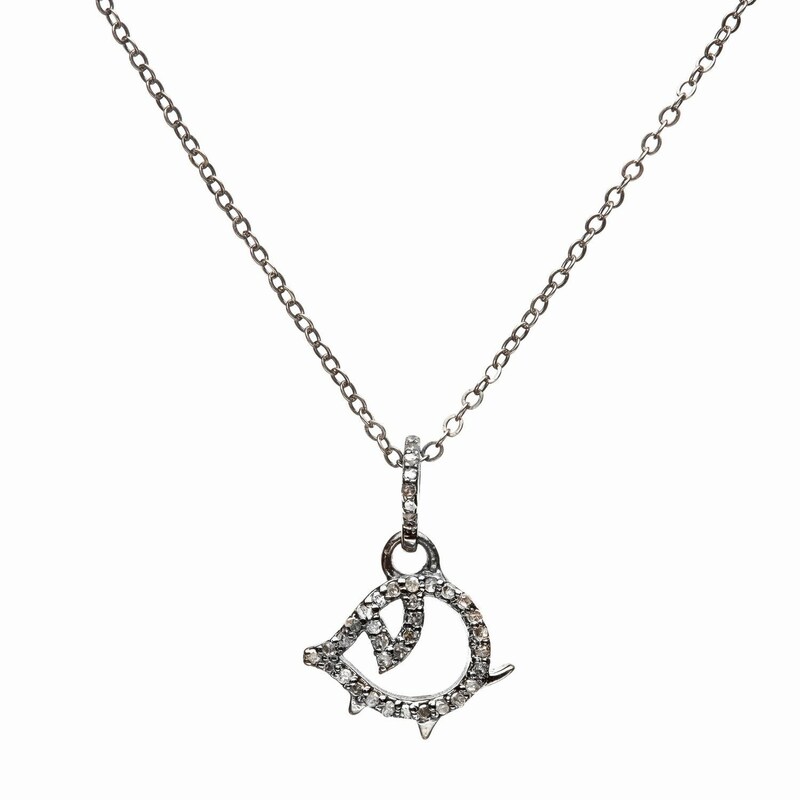 WE are donating a portion of the proceeds from the sale of each of these pig necklaces to Ironwood pig Sanctuary, - so not only do you get a gorgeous white diamond solid 14 karat gold pig necklace but you also get to help the endeavors of Ben and Mary Watkins who have helped and continue to help and rescue over 1000's of pigs. You can also contact the sanctuary directly to sponsor a pig or ask Nadean Designs to help you contact IRONWOOD if you would like to volunteer, sponsor or help in any way.